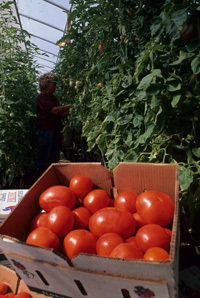 This publication by the University of Florida’s Cooperative Extension discusses growing peppers in greenhouses. The publication addresses cultivars to use, transplanting, irrigation,pollination, disorders, pests, and post harvest handling to maintain quality peppers. • Bring Back the Potatoes! • Lobster Time in Kinston!